Do you know you can use Bitcoin to book hotel rooms and Flights on CheapAir. Sometimes, booking a flight can be a really frustrating undertaking. The disappointment is even more overwhelming when it comes to comparing different flights to find one that is more befitting to your needs. In fact, the mere thought of doing that kind of work scares most people. Like Nikks and I, you definitely want to be able to get the best flights by comparing what's available out there. There is simply not enough time to compare all the options you have and still keep up with your travel schedule. But do you really need to do all the hard work? What if there was an easier way to compare flights within a short period? What if you had a flight comparison tool that seamlessly fed you with all the flight information you need in the blink of an eye? The good news is that, that kind of a tool exists. Say "hello" to CheapAir flight comparison tool. 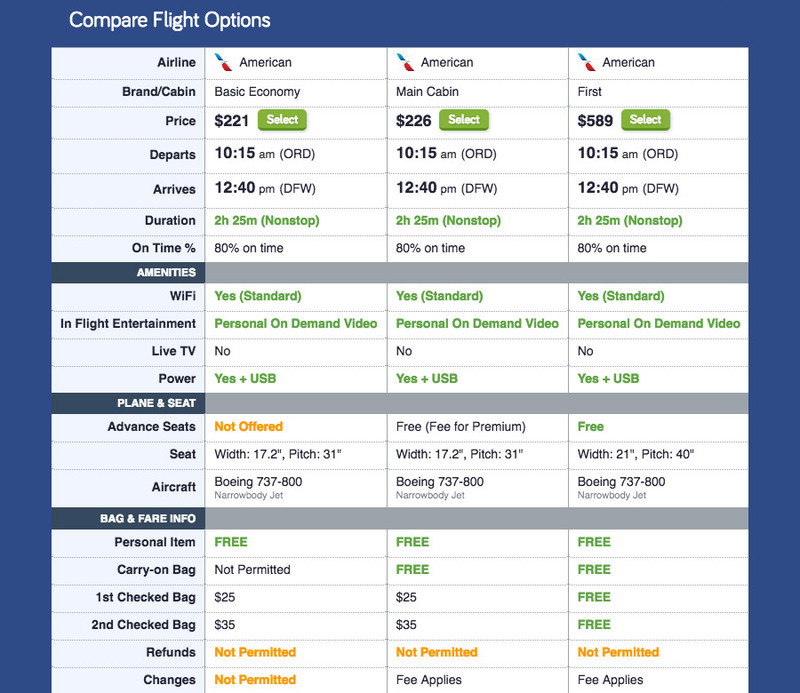 What is the CheapAir flight comparison tool? CheapAir is an intelligent tool developed by travel enthusiasts to help you make more informed travel decisions. It is specifically designed to take away the frustration of booking flights from you. The tool has been developed to cater to the needs of an everyday traveler looking to go through less hassle when booking a flight. CheapAir has been in the travel business long enough to understand the trouble travelers go through when booking flights. The CheapAir flight comparison tool is tailored to cater for every traveler's unique needs by using state of the art technologies that are not only user-friendly but also highly responsive and intelligent. CheapAir works with a team of travel enthusiasts and experts who are focused on seeing to it that booking an airline ticket is painless, and cost-effective. The CheapAir staff is passionate about travel, and that is why they are able to develop technologies that understand the typical traveler and adequately satisfy their needs. 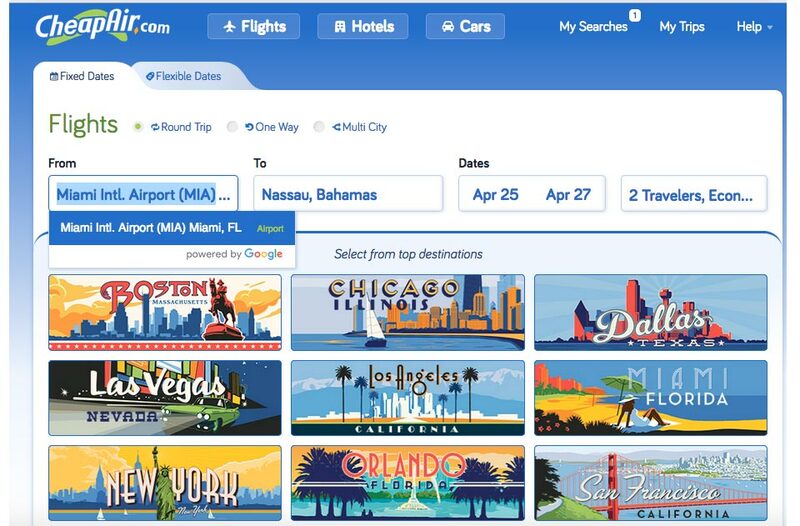 CheapAir is focused on making booking an airline ticket painless. What does the CheapAir flight comparison tool do? On the surface, the tool helps you make flight comparisons, and buy the best airline ticket. However, this ingenious tool actually does more than just comparing flights. It uses an advanced algorithm, which makes it stand out as the unrivaled airfare shopping engine in the travel industry. This shopping engine crawls every corner of the web to find the cheapest flights in your area and give you a ton of information regarding them. All the data and the flight information is presented in a user-friendly manner and an easy to navigate user interface. CheapAir does not stop at helping you pick the best flight. It will additionally give you valuable travel information and tips. You will also get advice that will ensure you book the right flight, know what to expect, as well as how to tackle any problems. The tool also gives you tips on how to ensure that your trip is as enjoyable as possible. If you are also looking for hotel recommendations or rental cars, CheapAir has it all. The technology enables you to search for hotels using landmarks, addresses or hotel chain. You get information such as price, guest reviews and star rating to help you pick the best hotel. The flight comparison tool also incorporates other special features such as the fare tracker, different travel deals, flight status and so on. The flight status capability enables you to keep track of a flight, even when you are not traveling. This means that you can check the flight status of a friend or loved one at the comfort of your home even without having to log in. 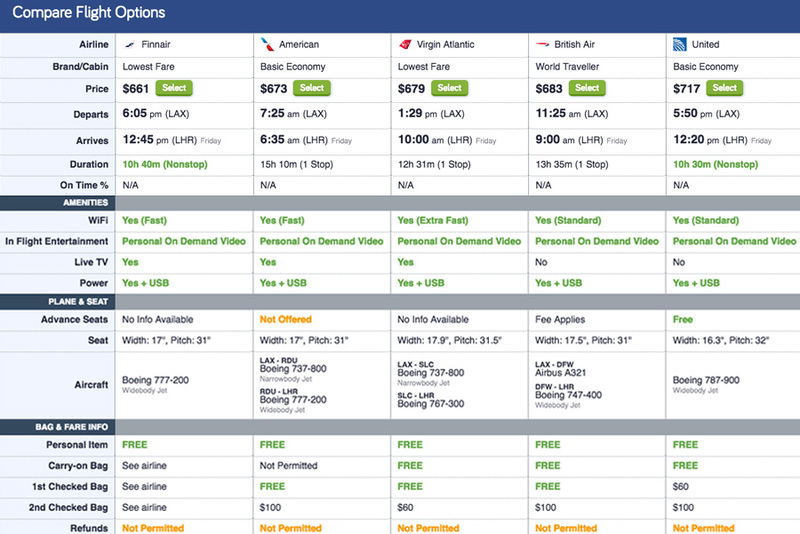 Compare many flight elements using CheapAir's Flight Comparison Tool. CheapAir understands that not all airlines are your favorite. It gives you a wide selection of airline options to choose from so that you don't miss out on your favorite one. The tool compares airlines in terms of reputation, experiences and customer service. This is the first thing anyone booking a flight looks for, and that is why it is also CheapAir's top priority. The intention is to get you the most affordable flight there is. The comparison tool's algorithms source the web looking for the cheapest airlines. The comparison tool will ensure that you get a flight that does not inconvenience you in terms of time. Whether you are in an emergency and need an urgent flight or looking to reach your destination with no apparent haste, it got you covered. Is CheapAir's flight comparison tool different? CheapAir continues to look for ways to improve its service and introduce technologies that make travel more convenient. That is why this flight comparison tool is probably a flight booking game changer. Most flight comparison tools do nothing more than give you suggestions of the cheapest or best flights. CheapAir aims to give customers more than the basic ability to compare and choose flights. They have developed a feature that enables you to search for economy and premium flight tickets and compare them side by side at the same time. This is something you will not find in any other flight comparison tool. CheapAir is the proud initiator of this technology, and its success can rightly be attributed to the desire to make the travel experience as fulfilling as possible for travelers. As mentioned earlier, the capability to search and buy economy, premium, first and other class tickets at the same time can only be found on CheapAir.com. This is a new technology and is probably still foreign to you, but I am pretty sure it will make your flight booking more enjoyable. Familiarize yourself with this new feature so you can understand how it works and how you can use it to book different class tickets at the same time. Head over to CheapAir.com and search for the flight of your choice. When you conduct a search, several options, appear. Depending on your destination you may have from one to as much as four class options to purchase tickets. These options will be shown next to each other. When you click on the "Compare" button, the information about each ticket will be displayed. 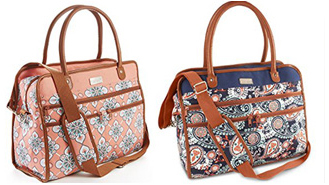 This includes the price, Wi-Fi availability and speed, entertainment options, charges for different bag sizes and so on. After going through the comparison and settling on a preferred flight, you can go ahead and select it. You must be wondering why CheapAir developers went through the trouble of developing this technology and why it is important to you as a traveler. Sometimes, situations force you to make different choices at any given time. It is not every time you will book a cheap flight nor is it normal to settle for a luxurious one all the time. Let's say you are out of cash and would like to go with a cheaper option, but on your return flight, you want a premium one. If you have been to other flight comparison and booking sites, you know this is something you would not easily do. But, with the CheapAir flight comparison tool, this is possible. You simply need to follow the procedure above and watch the magic happen. With this capability, you get to enjoy more flexibility, a myriad of options to choose from and have full control over your travel schedule. Compare and book economy, premium, first and other class tickets at the same time on CheapAir. What are the benefits of using the CheapAir comparison tool? - You save time you would have spent on comparing the flights manually. - It helps you save money used on a flight since CheapAir comparison tool gives you the best deals available. - You get expert tips and travel advice from travel enthusiasts to help you on your journey. - The CheapAir flight comparison tool is easy to use and not as cumbersome as other tools you might have come across. - You can buy both economy and premium economy and other class tickets. This is the ultimate lifesaver and something you can only do on CheapAir.com. Authenticity, user-friendliness, and effectiveness define the CheapAir flight Comparison tool. If you are looking for the most convenient way to compare flights and make the wisest travel choices, look no farther than CheapAir. Its focus is to make sure that you get the most detailed travel information and price data using advanced technologies and software. If you don't want CheapAir to search partner websites make sure and deselect the "Compare fares with partner sites." Have you ever booked a flight or hotel using CheapAir? Let us know about your experience.